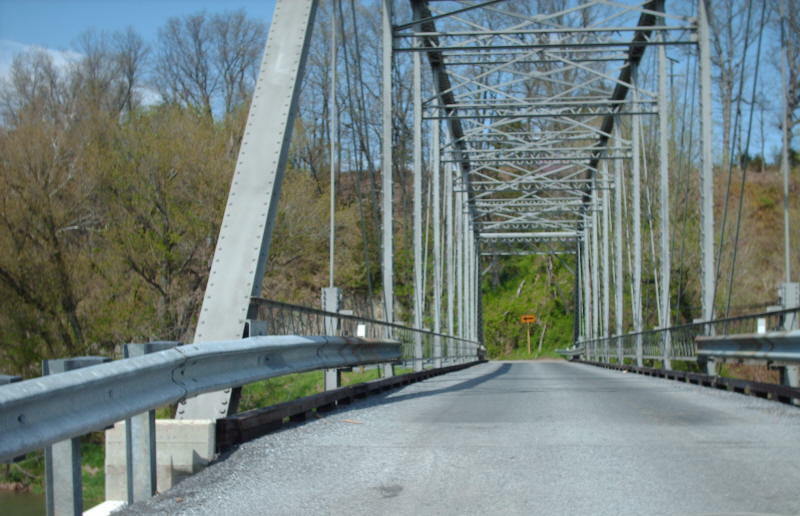 Notes: From Andrew Snyder -- Route had been closed for at least 5 years due to structural problems. 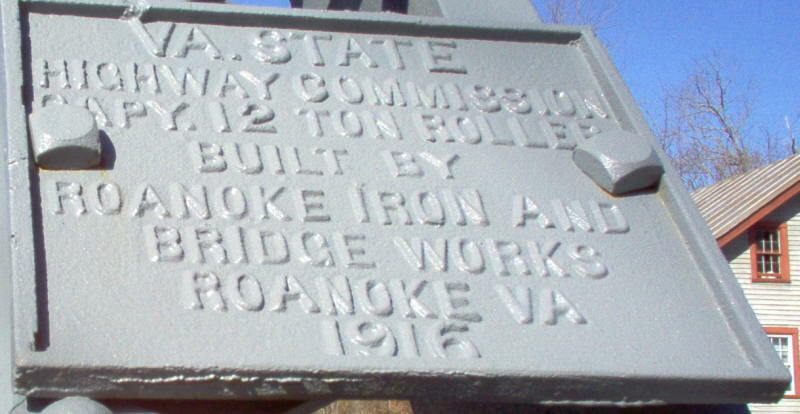 VDOT was set to tear it down. 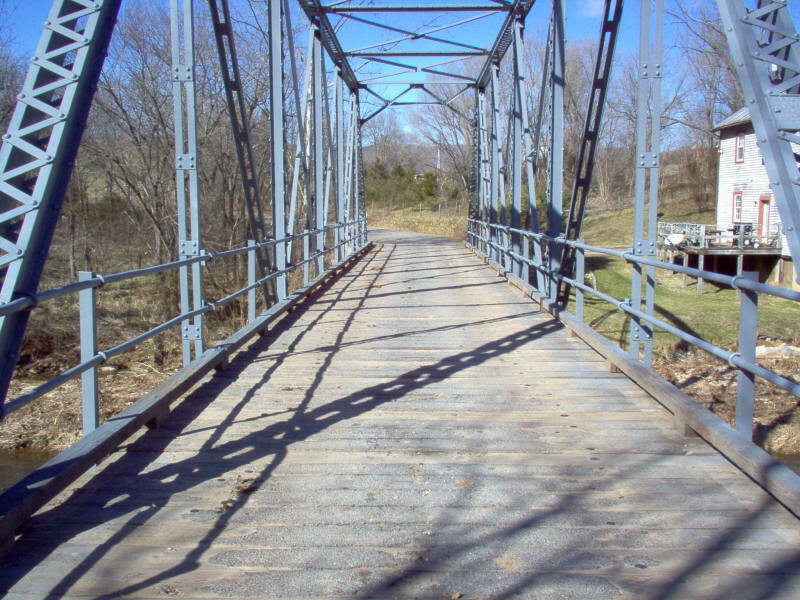 Then residents got in an uproar about "their" bridge. 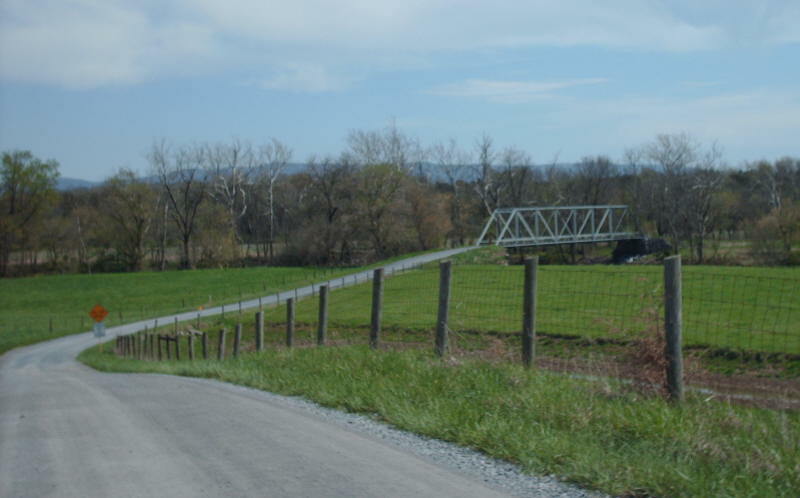 Big controversy with Phil Shucet, who at first didn't budge, but then complied when money was raised and a little coaxing from former state delegate Ted Bennett. 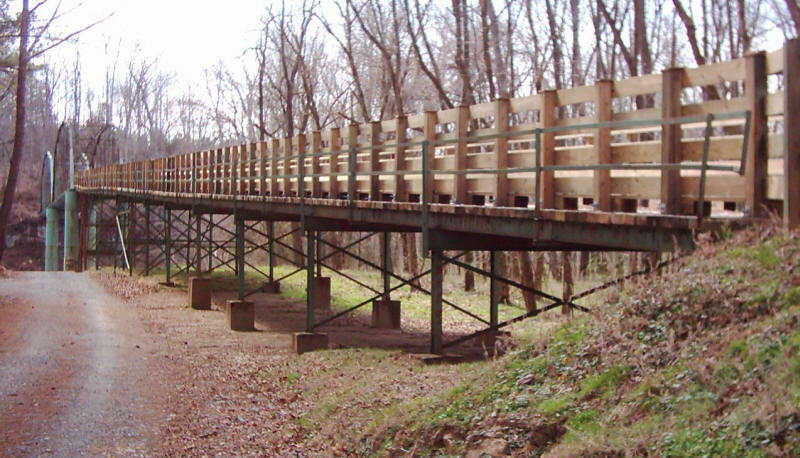 Now it's a pedestrian walkway and bird watcher's haven, supposedly a "tourist attraction." 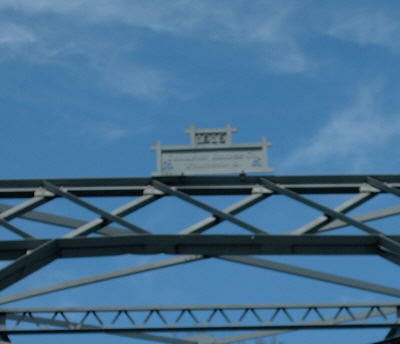 But I don't doubt there are days when the bridge sees no one, since it's in an extremely remote location and not signed from any major highway (US 501 being the closest), or even at the intersection of SR 620 and SR 626 (altough there is a parking lot 50 yards from the intersection where the "trail" starts and there ARE signs). 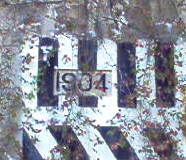 It is nice that this historical relic lives to see another day, though. 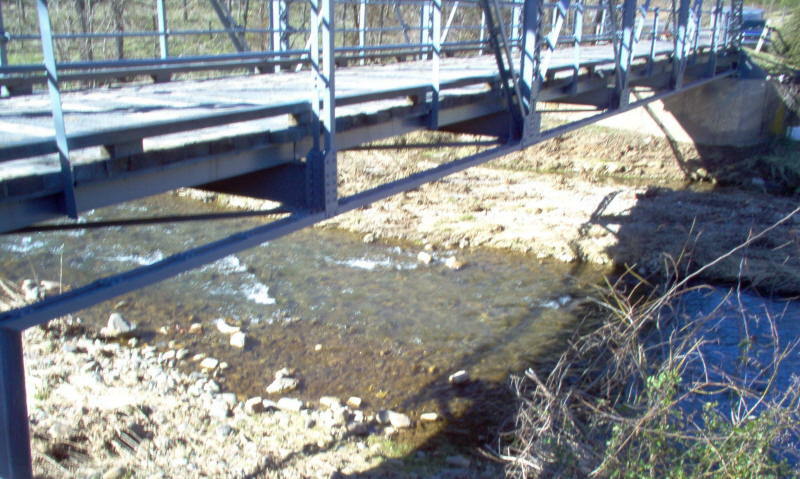 Notes: This is a combo bridge over the creek and underpass under the railroad. 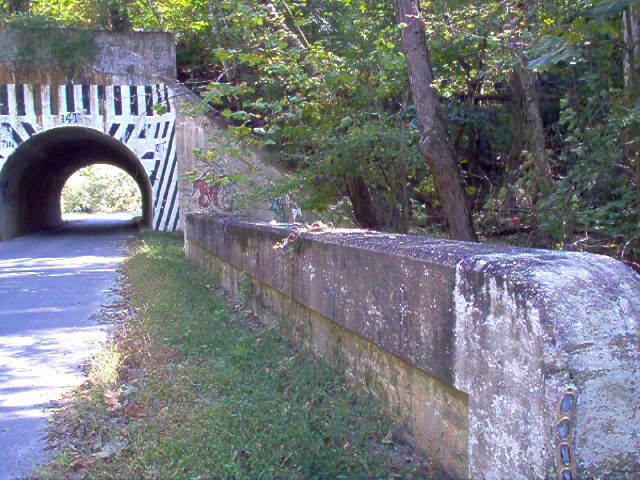 The stream is at an extreme angle with respect to the road, such that each side of the tunnel has only 1 bridge railing. 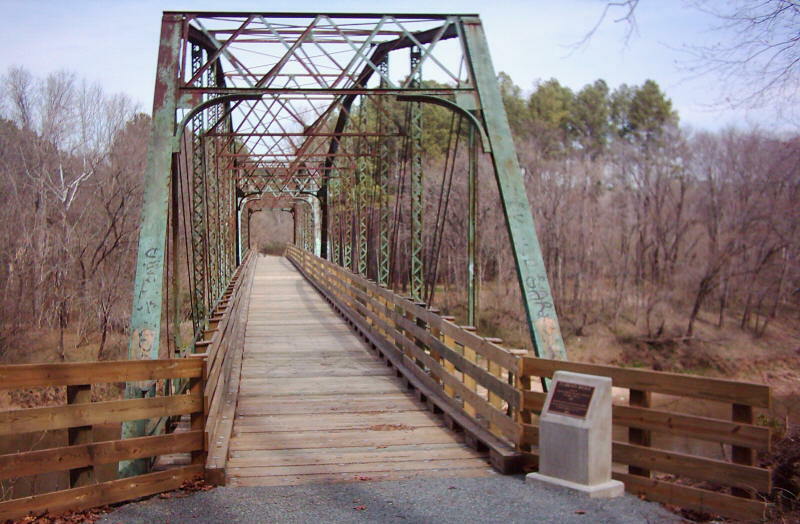 The first primary route through this structure was VA 8. 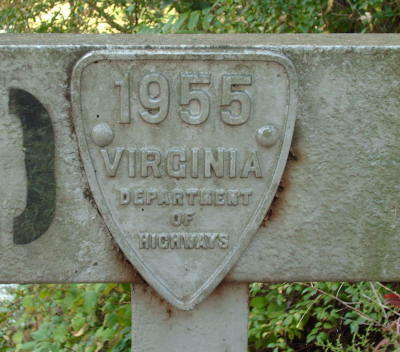 Ultimately it was VA 3 until about 1970. 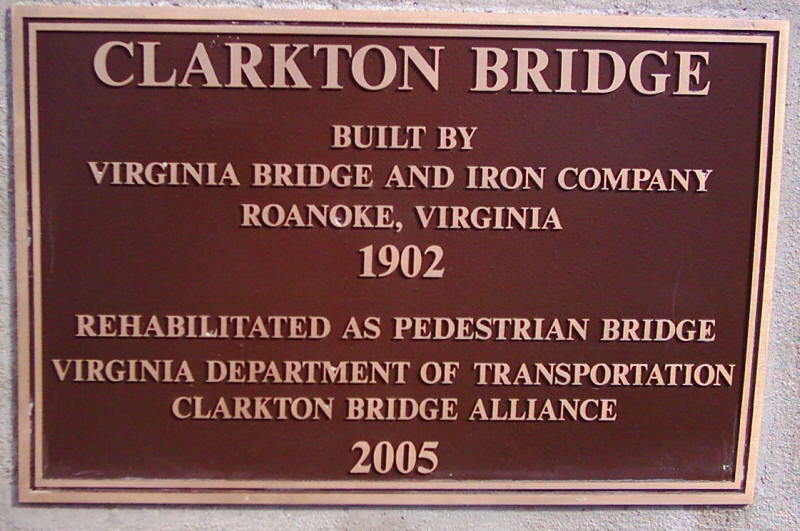 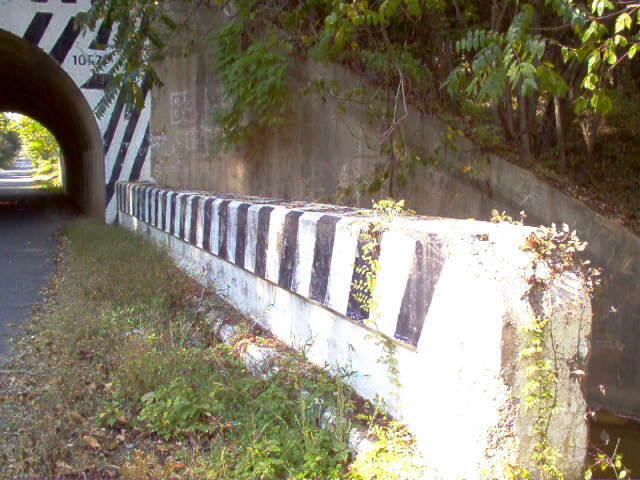 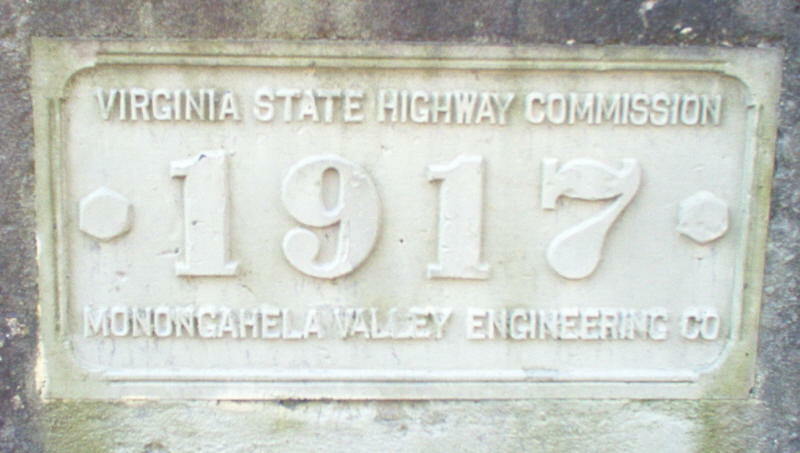 Notes: This bridge was originally a railroad bridge and was moved to this location in 1955 and VDOT added a 1955 date plate. 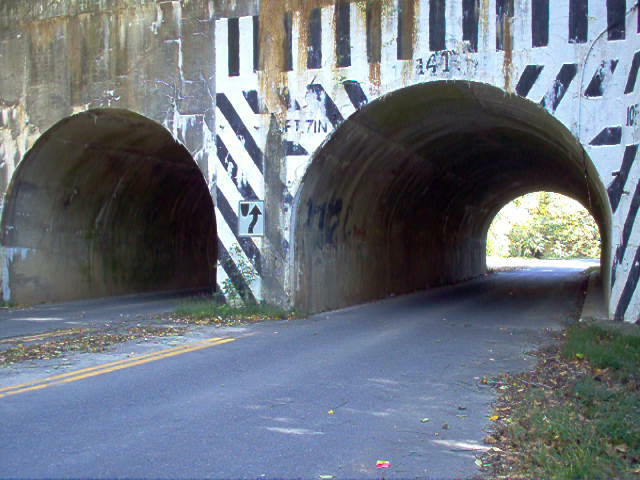 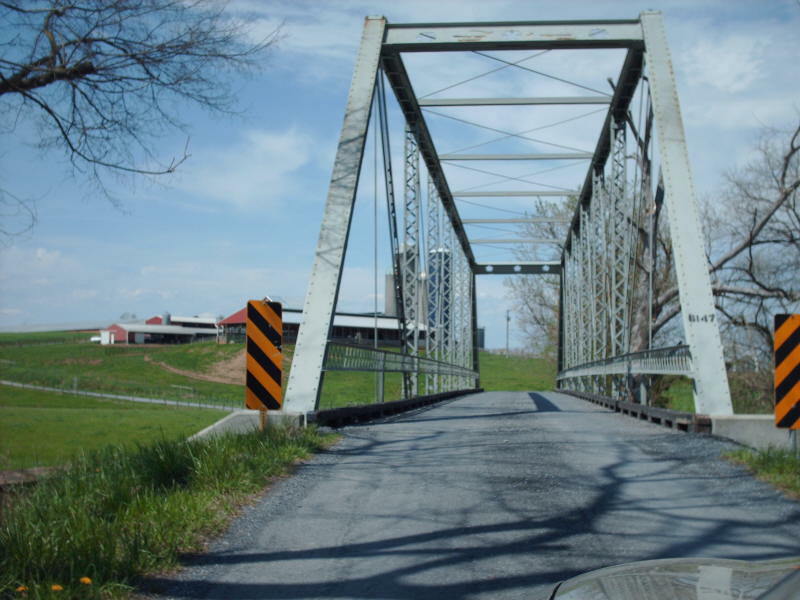 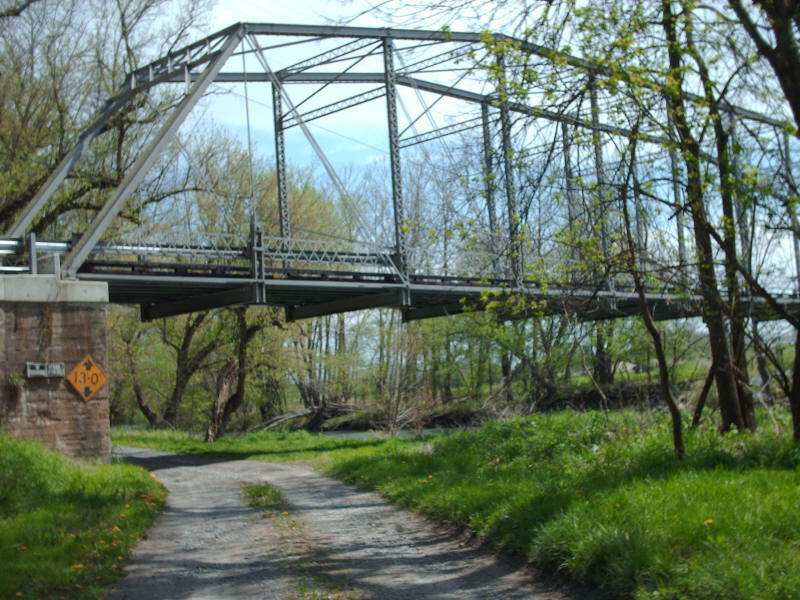 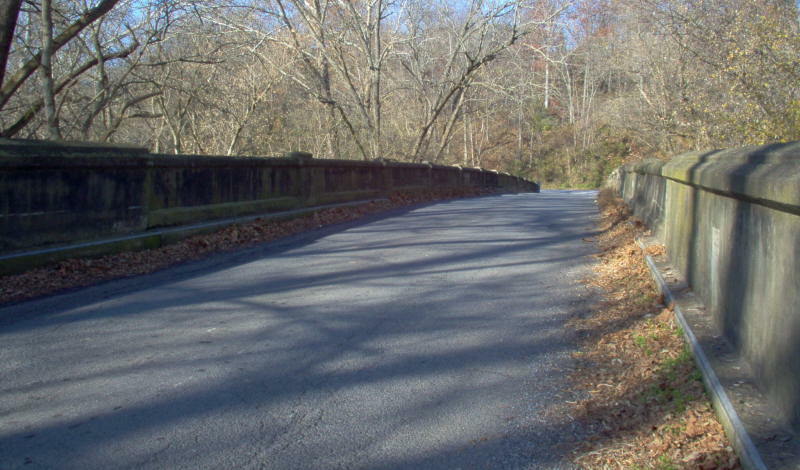 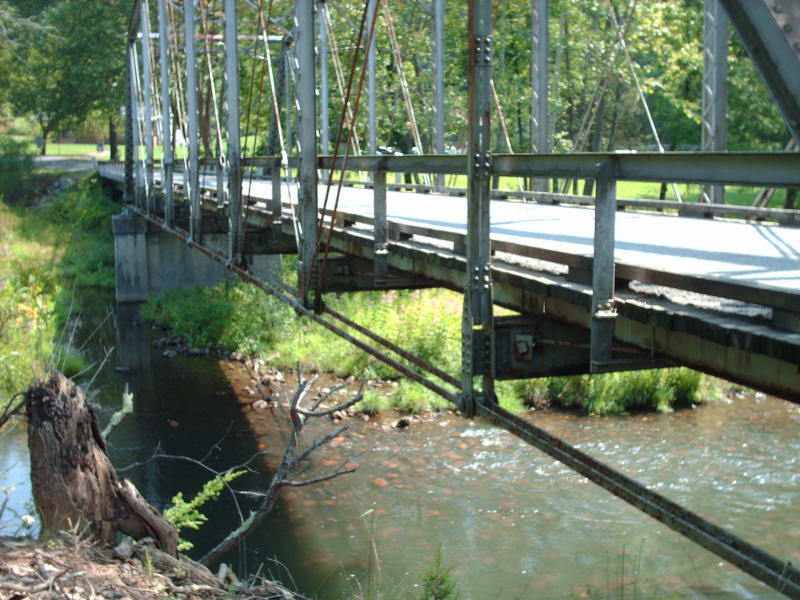 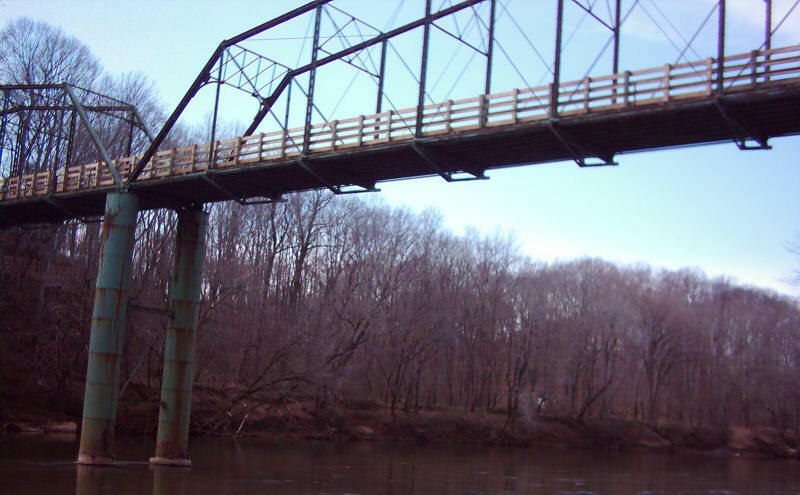 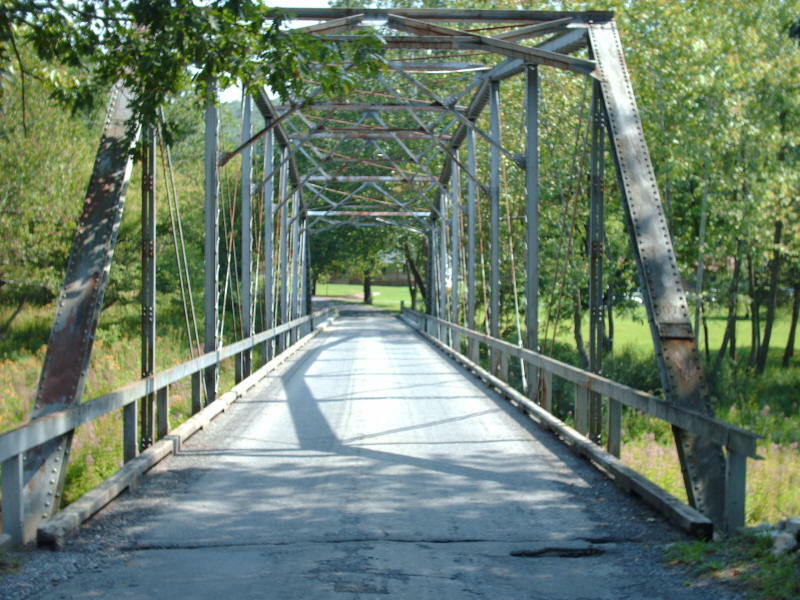 Notes: There are several really old Middle River bridges in Augusta County. 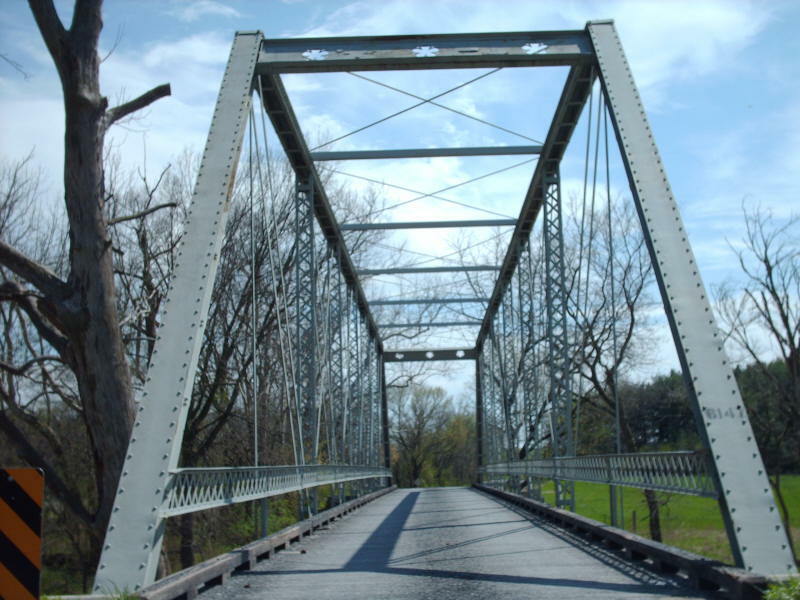 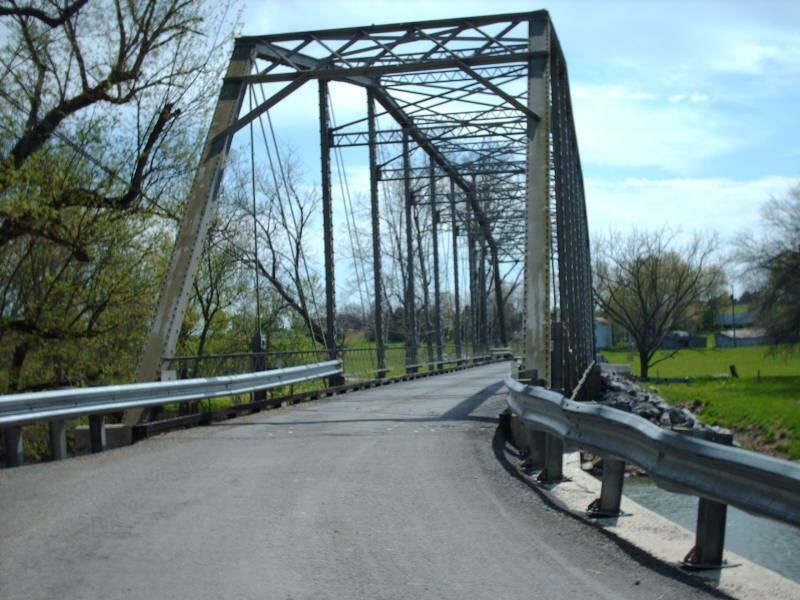 Notes: This bridge uses the square date plate on the truss piece, a practice that lasted to at least 1936. 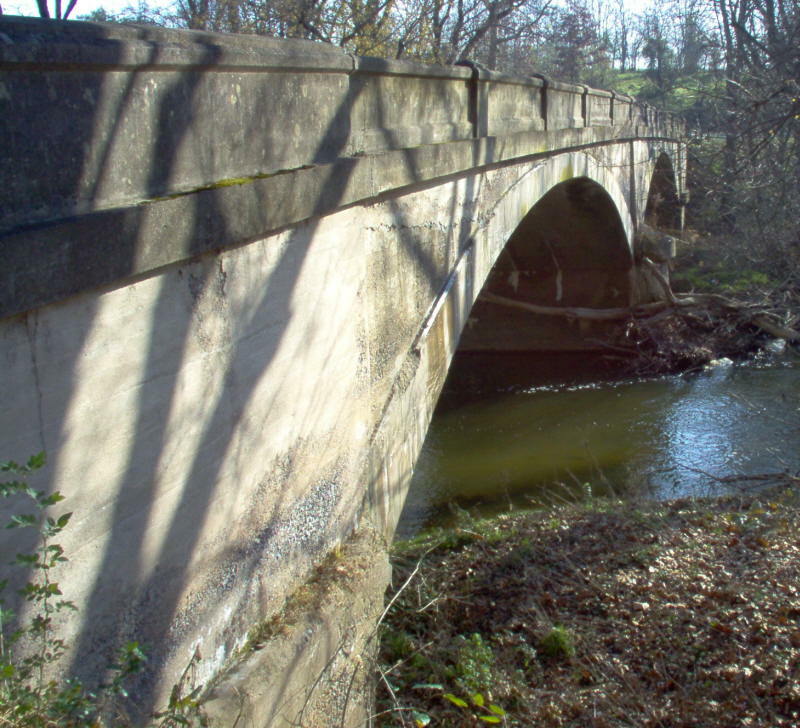 Notes: A closed-spandrel barrel arch bridge. 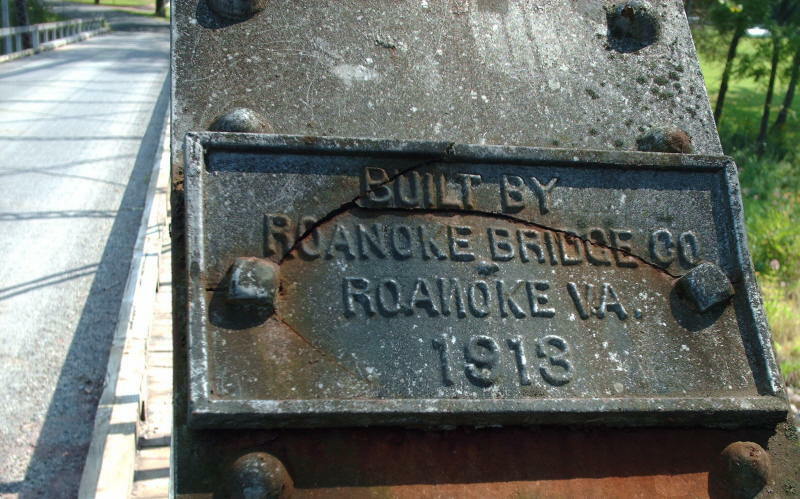 This is the first pre-1924 bridge I've seen with a date plate installed in the concrete railing of the bridge.